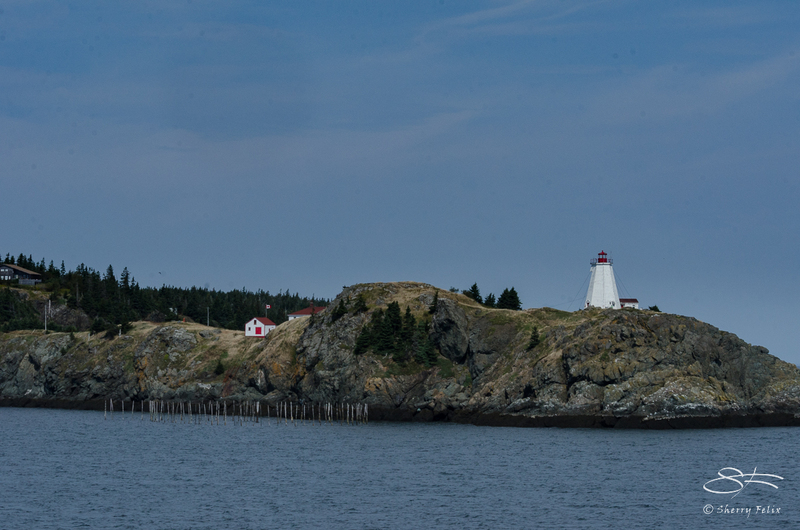 The Swallowtail Lighthouse on Grand Manan Island, New Brunswick, Canada photographed in 2012. One viewer asked why is it called Swallowtail. 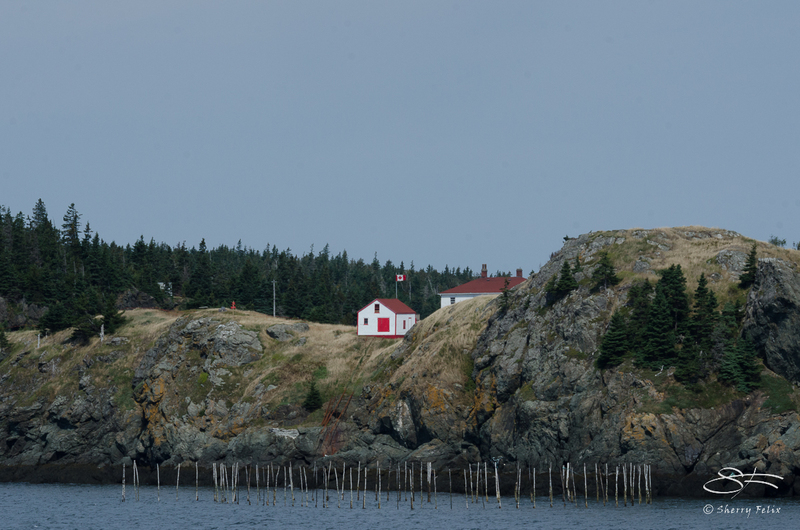 I looked at a map and saw that of Grand Manan; the shape of North Head and Swallowtail point, that the lighthouse is on, resembles the point of a Swallowtail butterflies wing. For Norm’s Thursday Doors 8/25/2016. I love that door just the way it is! I might’ve missed this, but why is this location called Swallowtail? I like it weathered too. I figured out why it is called Swallowtail. 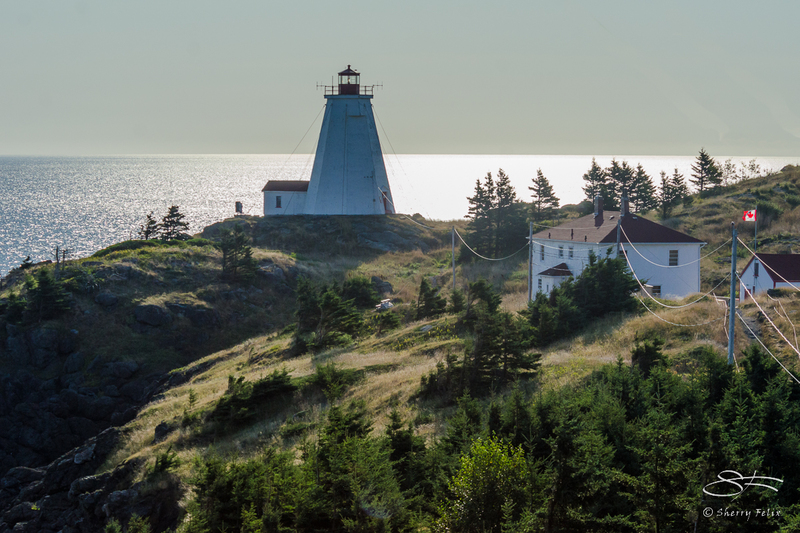 Look at a map of Grand Manan; the shape of North Head and Swallowtail point, that the lighthouse is on, resembles the point of a swallowtail butterfly wing. 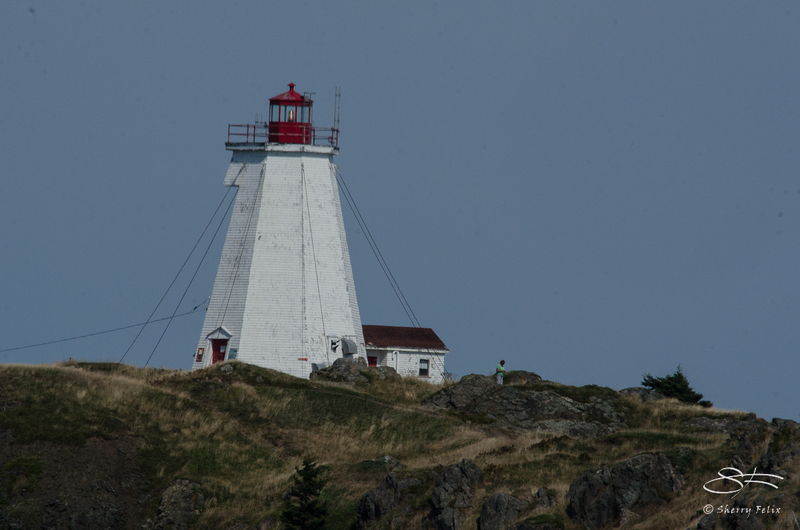 Nova Scotia..I LOVE how the light is tethered to the rocks so it does not blow away in a gale. 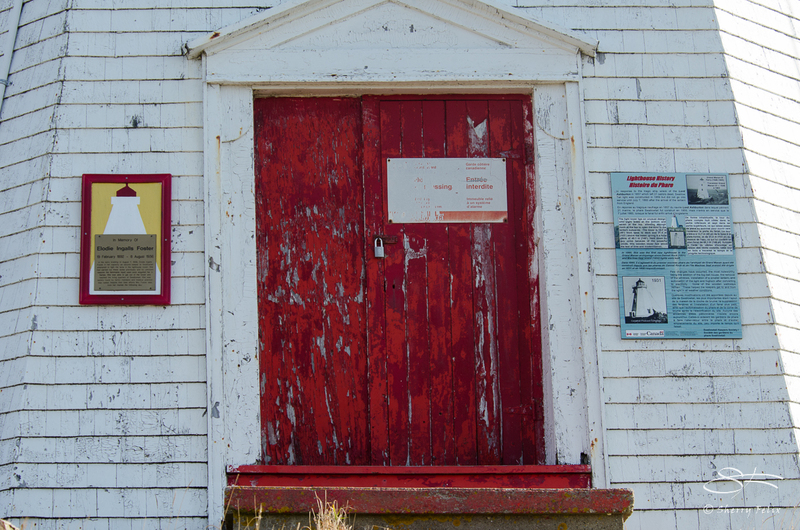 Lighthouse doors – yes! Some great shots of one of my favorite regions of the country. I spend more time in Nova Scotia but New Brunswick has its share of beautiful coastline too. Thanks Norm. I want to see Nova Scotia someday. Stunning scenery, Sherry! The house on top of the cliff is so dreamy – I wonder how it feels like to live there with such amazing view to the ocean..
It’s part of the lighthouse. Thanks Lee. Wonderful. Somehow the lighthouse and little buildings look like toys someone plunked onto the landscape. Let’s hope they never find reason to paint the lighthouse. It is beautiful just as it is. They will have to to preserve it, but it will weather again fast. Thanks. Some parts of the Bay of Fundy has fossils. 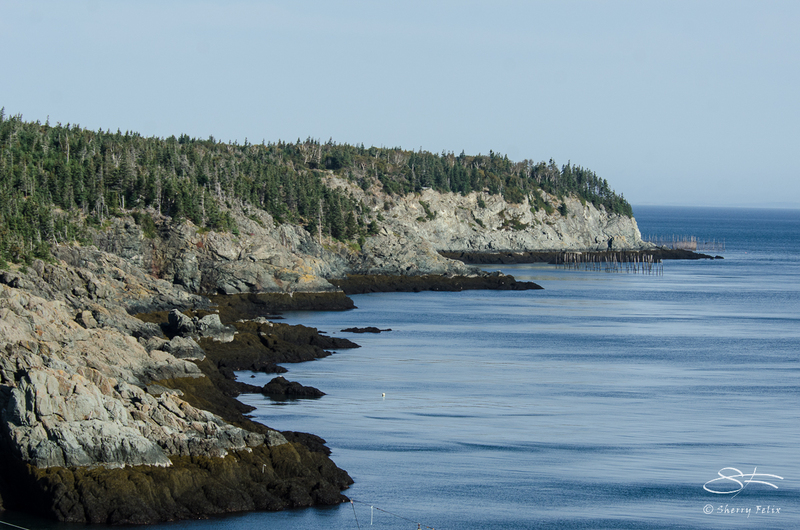 It is mostly granite and volcanic rock on the east coast of Grand Manan where we were http://www.bayoffundy.com/about/geology/ Might be some in the sedimentary rocks on the west. Oooh, pretty doors post! Love that red! Thank you. It is indeed very lovely. Beautiful shots, Sherry. That first door’s seen its share of weather, hasn’t it? I love the way the small red door can be seen from so far away. Thanks. I used 3 shots at different distances on purpose to display the red door. So glad you noticed. Gorgeous, gorgeous photos! 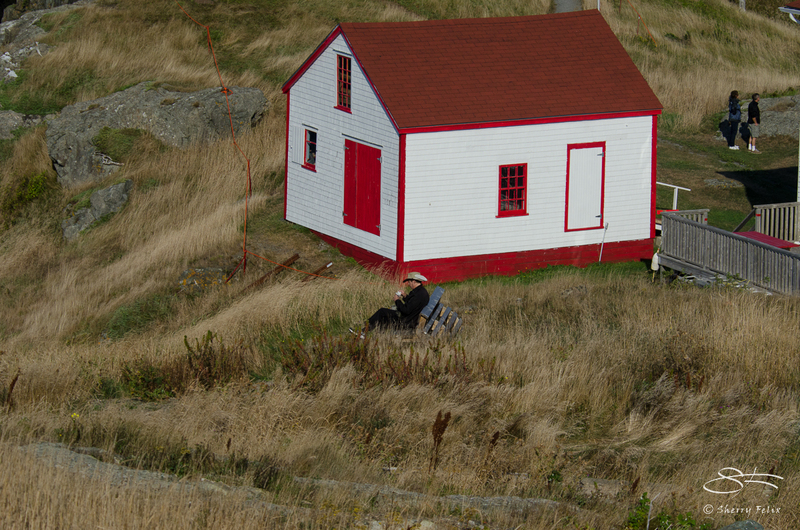 The lighthouse door may need a bit of paint, but I love the red and white combination of the buildings. Thank you. Not hard to get good photos when the subject is interesting. Not only is the red and white visible from far away, the colors match the Canadian flag. Great post, great photos of our country. by the way are those wires there to stop it disappearing in winter storms? LOL I doubt it. Thanks. Wonderful shots of a beautiful part of the country! Thanks. It is so close to Maine it felt odd using a passport to get there.